Italians were the trendsetters of European Renaissance dining. Elaborate tableware, sumptuous dishes, and sheer extravagance were the orders of the day for aristocratic hosts seeking to impress their guests. Paintings, plates, and cookbooks from the period provide glimpses into the conventions and quirks of dining in Northern Italian courts, and the Getty Center is bringing this decadent history to life with a forthcoming series of culinary workshops. 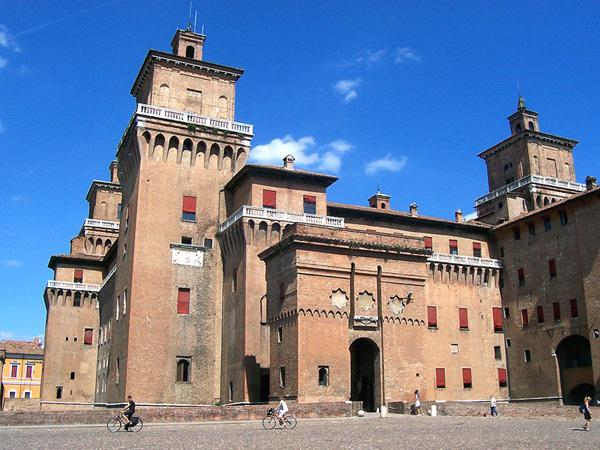 In the Italian city of Ferrara in the 1500s, the Este family was renowned for throwing enormous banquets with 500 to 750 courtiers in attendance. Isabella d’Este, Marchesa of Mantua, commissioned a set of istoriato, or historiated, maiolica plates from artist Nicola da Urbino with painted scenes that illustrate stories from ancient literature. 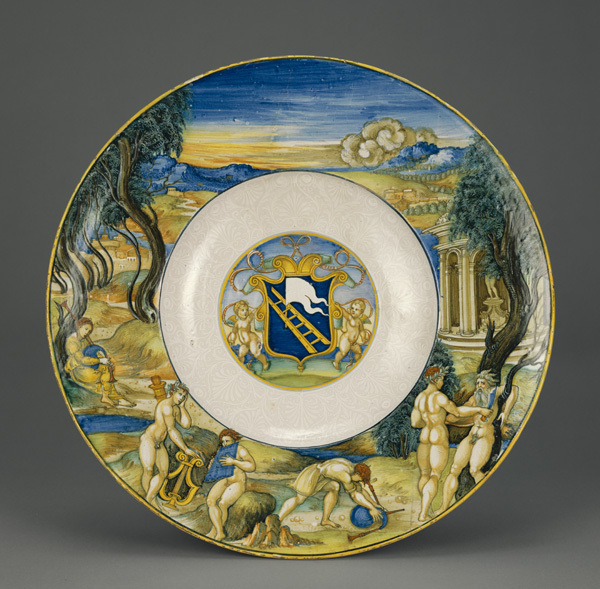 Isabella’s guests ate foods on these decorative plates, which were similar to the J. Paul Getty Museum’s Armorial Dish with the Flaying of Marsyas, made in the mid-1520s. 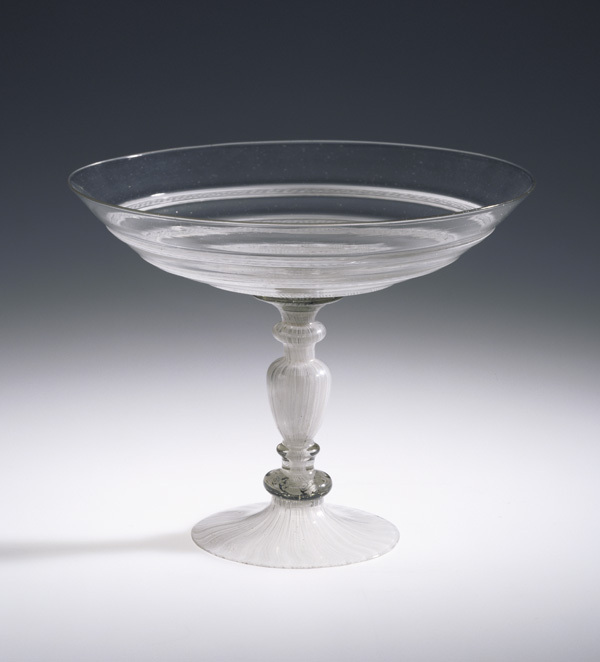 Diners ate with two-tined forks and drank wine from crystal glasses made in Murano, a Venetian region known for glass making. 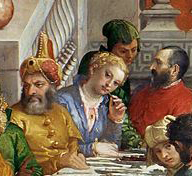 In Paolo Veronese’s painting The Wedding Feast at Cana, a man holding a tazza, or shallow glass, is about to sip his wine. 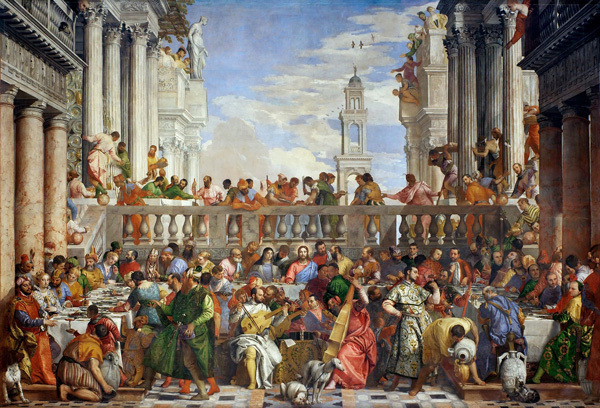 Wine-pairing first took place in the 16th century, making Veronese’s festive revelers especially on trend. 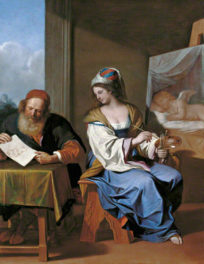 Elsewhere in the painting, a woman in a blue dress daintily holds a toothpick to her mouth. A toothpick was a personal item customarily contained in a jewel-encrusted golden case and worn on a chain as a necklace. Hygiene meets ornament! A variety of pastas such as spaghetti, tagliatelle, ravioli, tortellini, and agnollotti were cooked in broth and served with butter, Parmigiano Reggiano cheese, and cinnamon—no tomatoes! Tomatoes were, however, appreciated for their beauty and used as decorations. As in the Middle Ages, poultry, game meats, and fish were the main fare and displayed quite spectacularly. In his 15th-century publication Libro de arte coquinaria (The Art of Cooking), Maestro Martino reveals the art of presenting a peacock “with all its feathers, so that when cooked, it appears to be alive and spews fire from its beak.” With the arrival of novel creatures from the New World, turkeys eventually replaced peacocks as most spotlighted fowl. Vegetables were also available for convivial consumption. Salads consisted of assorted leaves, such as lettuce, watercress, and radicchio, tossed with onions, raisins, and olives. Artichokes, asparagus, broccoli, cabbage, spinach, carrots, cauliflower, eggplant, fava beans, and fennel rounded out the table. 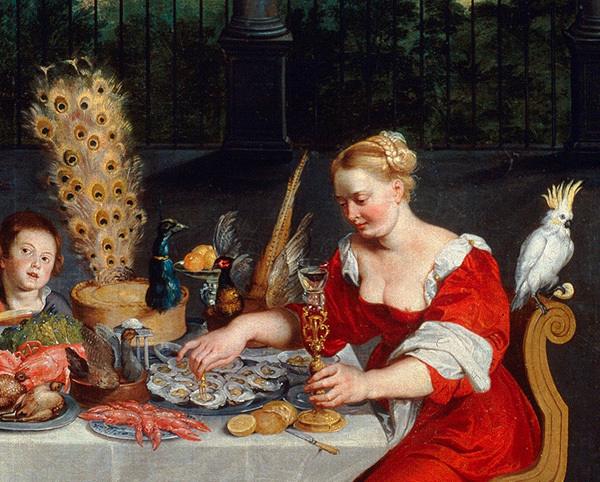 The concept of dessert did not yet exist in Renaissance times, but it was not unusual to enjoy sweet and savory foods, served simultaneously, throughout the meal. Some dishes boasted both flavors. Unlike today, sugar was considered beneficial to one’s health. It was also perceived as exotic and expensive, so flamboyant sugar sculptures were displayed as a testament to the host’s wealth. Venetian dining halls were filled with painted and gilded sculptures of ships and life-sized statues of doges and popes—all made entirely of the sweet stuff. This May at the Getty Center, 21st-century citizens will have the opportunity to eat like 16th-century Italians. A Renaissance in Dining: Culture and Cuisine of the Northern Italian Courts is a hands-on culinary workshop focused on the food and dining etiquette of the period. 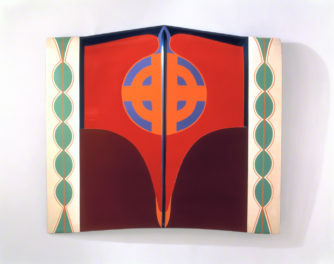 (A few seats are still available for the May 14 workshop.) 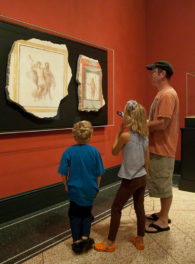 Participants will tour the exhibition Renaissance Splendors of the Northern Italian Courts, prepare a meal, and feast together as contemporary courtiers. For those interested in bringing some of the Renaissance spirit into their own kitchen, consider making the following recipe from Bartolomeo Scappi’s 1570 treatise, Opera dell’arte del cucinare (The Works on the Art of Cooking). In a 5- to 6-quart saucepan, heat the oil. When oil is hot, add the onion. Stir-fry the onion until it is translucent, about 2 minutes. 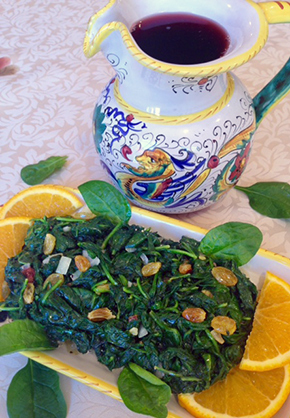 Cook the spinach on medium heat, stirring with tongs, until leaves have wilted or look partially cooked. Drain the raisins and add them to the spinach. Stir in salt, black pepper, cinnamon, and orange juice. Serve as a side dish to poultry, game, meat, or fish.